Air101: Is Norwegian about to take over Monarch? Is Norwegian about to take over Monarch? Could Norwegian Air be about to swoop in and buy UK airline Monarch in a rapid and aggressive move to put pressure on low-cost rivals Easyjet and Ryanair? There is a lot of media speculation on that question today after reports emerged from the press association and others that Norwegian Air Shuttle has directly approached Monarch to buy some or all of the loss making airline. This latest twist comes as a direct result of the reports of the reevaluation of the Monarch's operations by KPMG tat we reported on recently. 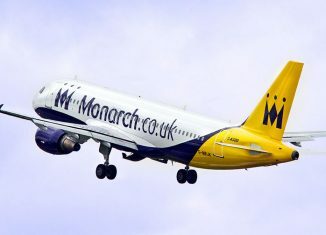 Insiders at the airline have indicated that private equity firm Greybull Capital, who own Monarch are looking to divest its aviation interests. Our earlier report detailed that Monarch might be a looking to operate as a feeder airline for another bigger carrier, which working with or being taken over by Norwegian would achieve. 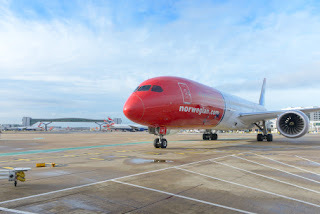 “It is widely known that the UK is a key market for Norwegian where the airline is looking for opportunities to expand.” a source apparently told PA.
Norwegian Air is active in expanding its global network, it recently announced its tie up with Easyjet on its worldwide programme, that acts as an interline arrangement. However, when we investigated the platform, we found it was cheaper to book directly with each carrier, which would also save passengers at least an hour in connecting times. Norwegian had previous explored a tie up with the Irish airline Ryanair, however these quickly broke-down as it became clear there were fundamental differences across all aspects of the two airlines operations, management and ethos. Ryanair’s chief executive, Michael O’Leary, seeking to deflect attention away from his troubled shaky airline by slamming Norwegian Air, claiming it was in dire financial trouble and might not even not survive the winter. “Norwegian will go in four or five months. They are running out of cash. They are scrabbling around daily.” he told reporters, “Both Monarch and Norwegian are in trouble. It’s an open secret among airlines that Monarch and Norwegian may not survive through the winter. They are burning cash." O'Leary puffed in typical over inflated fashion. Of course the Norwegian carrier denied it faced any difficulty, with a spokesperson saying O'Leary's remarks “have no root in reality.” and that it was pure “nonsense”. Norwegian has reported profits for the for the last 10 years, with a strong liquidity, as well as owning a large share of Bank Norwegian. 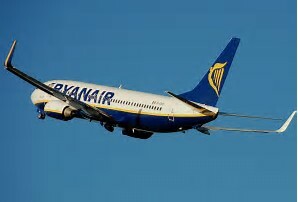 Ryanair had wanted to take over the collapsed Air Berlin, however insiders at the airlines Dublin headquarters have confirmed they are not interested in a take over of the airline as a whole as they can't raise the necessary fiance. The high-fees, low service airline is also facing a massive compensation bill for the vast numbers of cancelled flights over the next six weeks, due to poor management, pilot holidays and trying to get back to a 90% punctuality level. In a statement Monarch said: “In recent months we have undertaken, and continue to undertake, a comprehensive review of Monarch, designed to determine its optimal future shape, size and strategy.